Week 2 Weigh-ins: Get Healthy Challenge! 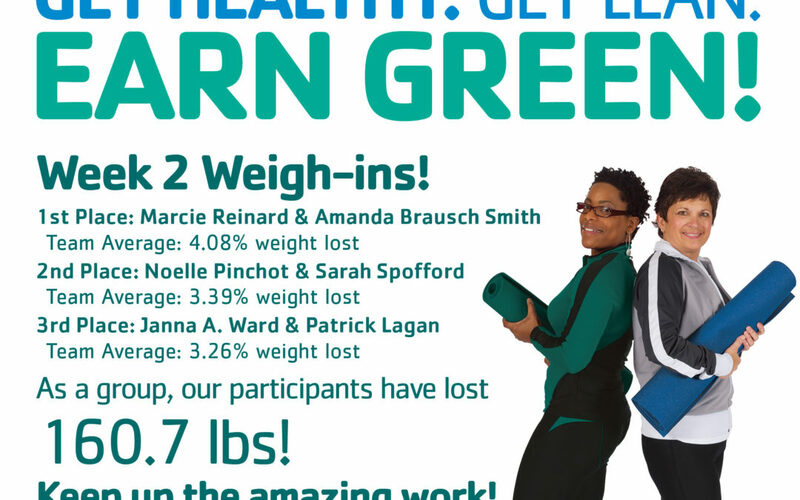 In 1st place is Marcie Reinard and Amanda Brausch Smith, with a team average of 4.08% weight loss! In 2nd place is Noelle Pinchot and Sarah Spofford, with a team average of 3.39% weight loss! In 3rd place is Janna A. Ward and Patrick Lagan, with a team average of 3.26% weight loss! As a group, by the Week 1 Weigh-Ins, our participants have lost a total of 160.7 lbs!! All of our participants have done an amazing job so far! Keep it up!! !